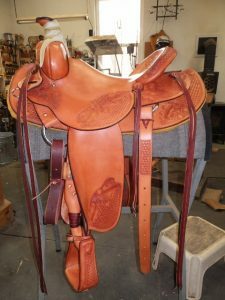 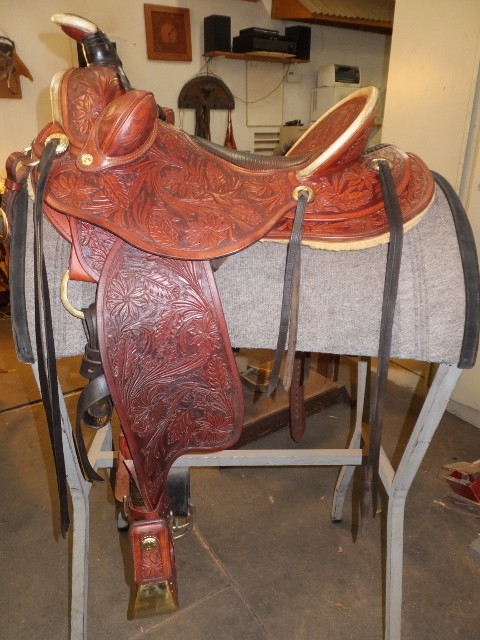 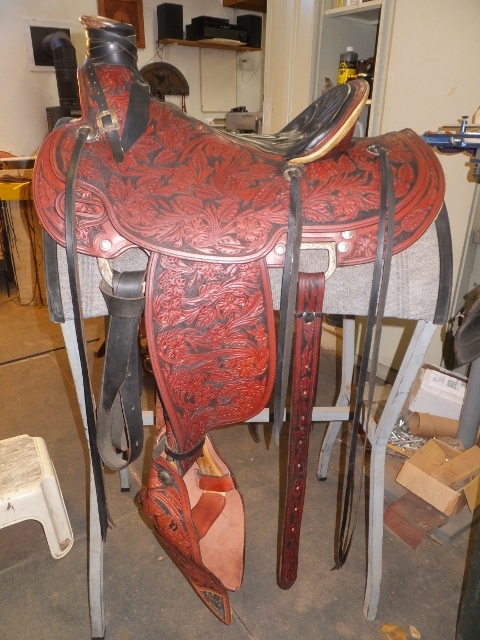 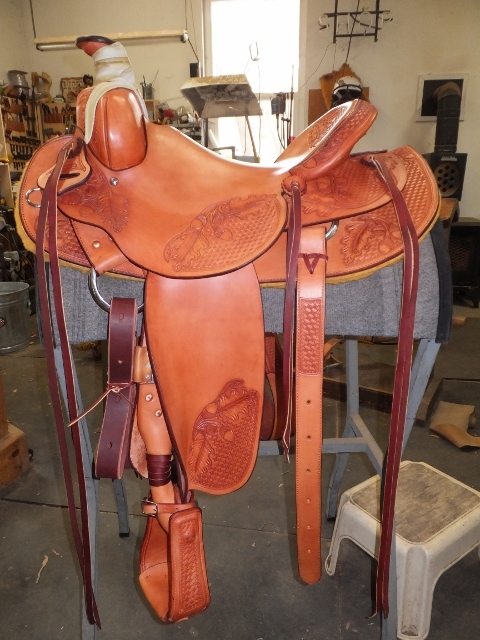 Items For Sale « J.J. Maxwell Tack & Saddle Co. J.J. Maxwell Tack & Saddle Co.
For Sale: 16 inch woodpost Wade trail saddle. 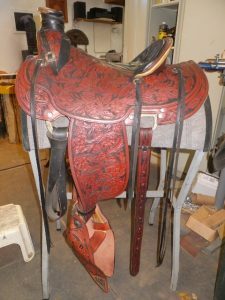 Built on a gaited horse bar. 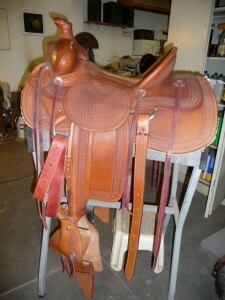 Comes with a matching breast collar and headstall. 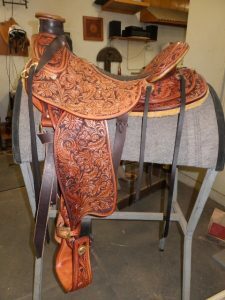 $6285.00 Call for more info.